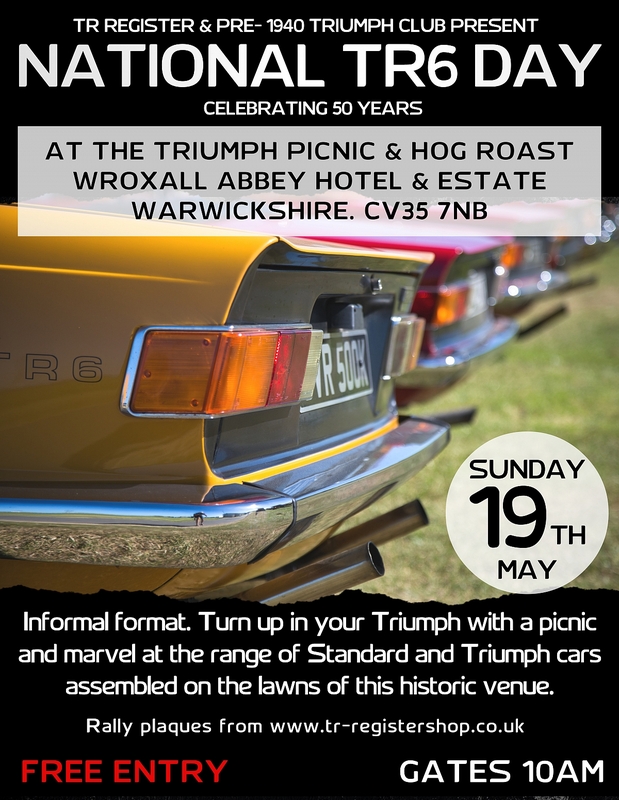 National TR6 Day is being organised to coincide with the Standard Triumph picnic and hog roast, which is hosted by the pre-1940 Triumph Club at Wroxall Abbey on 19th May 2019. 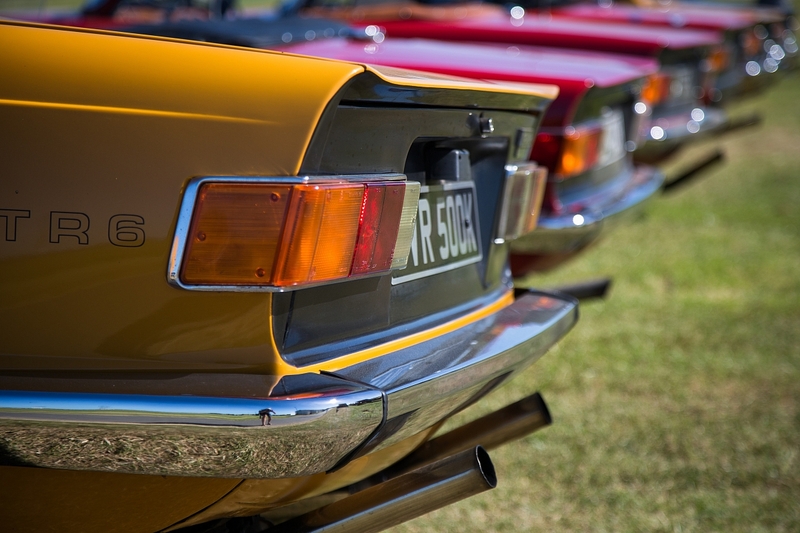 It would be great if we can get over 100 TR6 cars to attend but come in any Triumph you can. This is a FREE event, just show up in your Triumph, bring a picnic and admire the many Standard and Triumph cars assembled at this beautiful and historic venue. How many TR6s can we get in one location to celebrate 50 years since the launch and sale of this now iconic car? The TR6 was first shown to the world in late 1968 but deliveries to customers would have to wait until early 1969. Have you got a very early one to show us? If you live in the East Midlands or further North and want to arrive together, then we are planning a gathering point somewhere at the Moto Donington Services at junction 24 Southbound or 23A Northbound of the M1. We plan to leave Donington at 10.00 am and travel a route avoiding motorways down to Wroxall Abbey. No specific route will be provided but use your satnav to get you there via some country lanes. It should take about 1 hr 15min so we should arrive in plenty of time for a picnic or buy some succulent pork.